A native of El Paso, Texas, Dr. Gaddy earned his undergraduate degree at the University of Texas in Austin and his medical degree at the University of Texas Southwestern Medical Center in Dallas. He came to the Midwest during his internship and residency, serving at Washington University School of Medicine, Barnes Hospital, St. Louis Children's Hospital, Jewish Hospital, St. Louis Regional Medical Center, St. Louis Shriner's Hospital for Crippled Children, and the Veteran's Administration Hospital – all in St. Louis, Missouri. 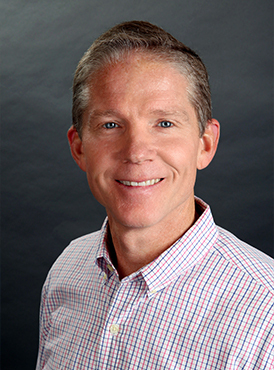 Dr. Gaddy joined Midwest Orthopaedics in 1995, and sees patients at our Shawnee Mission location. He is the senior partner in the group. Board certified in orthopaedic surgery, Dr. Gaddy is a past Medical Staff President at Shawnee Mission Medical Center and a member of the American Academy of Orthopaedic Surgeons. He was named one of KC's Top Doctors by Ingram's Magazine regularly since 2010. He is married and has three sons. Call Dr. Gaddy in Shawnee Mission, Kansas, at (913) 362-8317 or schedule an appointment online.